Events in and around Walthamstow this December for ALL the family. 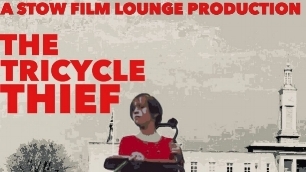 A MUST SEE EVENT, The Tricycle Thief, A World premier film made of a cast of local kids and persons from Waltham Forest made by The Stow Film Lounge. Someone stole Grandad’s antique red tricycle – who is the thief and can 9 year old Audrey get it back? Spot local places and faces ( including my own kin) in this endearing Children’s film foundation documentary. Sit with cast and crew at the premiere. Events in and around London town, a few pricey and a few that are free. Lights, Lights, Lights! 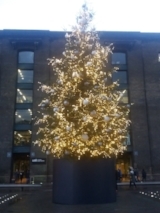 look up and see some festive lights, lots of places to see but these are for free! at Carnaby street for its Queen song references, Leadenhall market for its Christmassy feel, St. martins court yard in Covent Garden for its cuteness.